The Army Black Knight's fell to Rutgers 27-10 on Friday, October 23, 2009 at the United States Military Academy's Michie Stadium in West Point, NY. 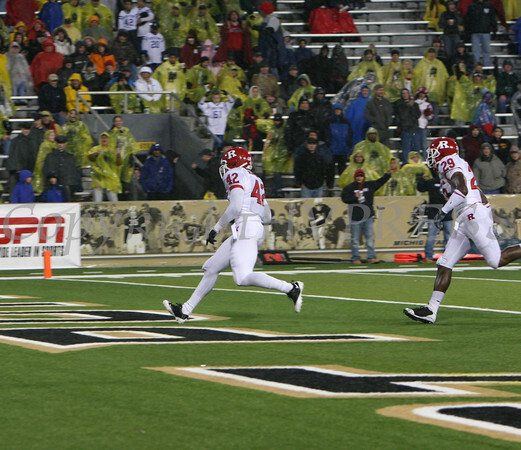 Rutger's Steve Beauharnais (42) scores a touchdown against Army during their game on Friday, October 23, 2009 in the United States Military Academy's Michie Stadium in West Point, NY. Hudson Valley Press / CHUCK STEWART, JR.